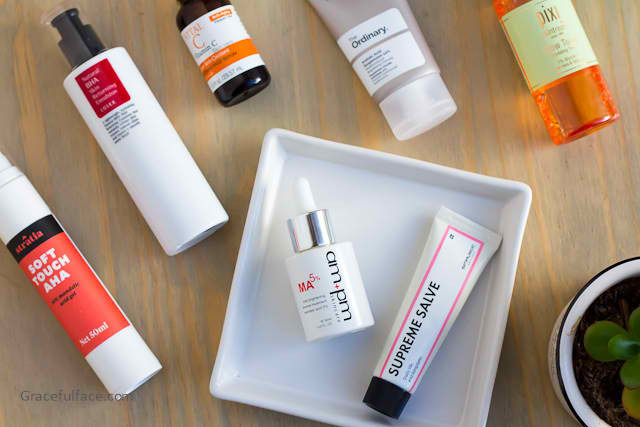 I run out of sunscreens FAST because it’s my #1 skincare must-have product. Why? 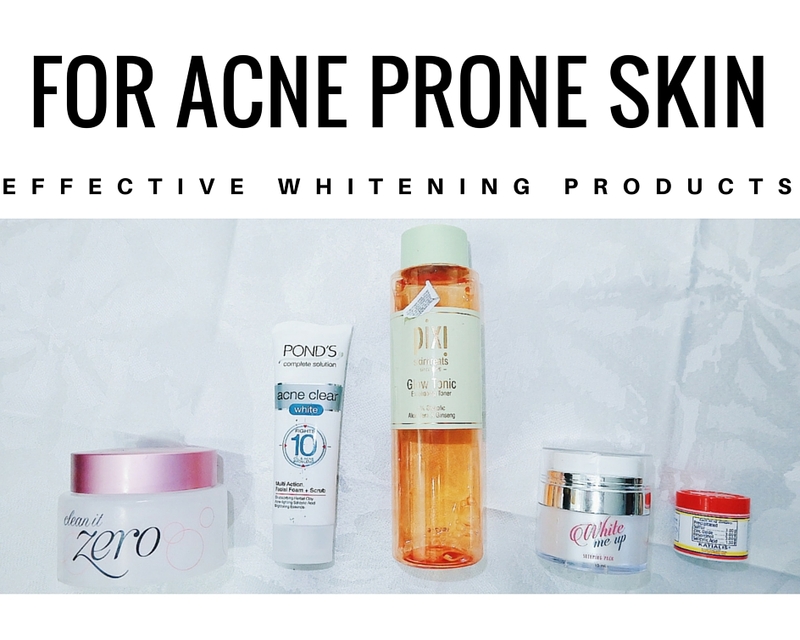 I can’t stress enough how sun protection is crucial to preventing wrinkles and early signs of skin aging. It’s my secret to youth! But not all sunblocks are created equal. 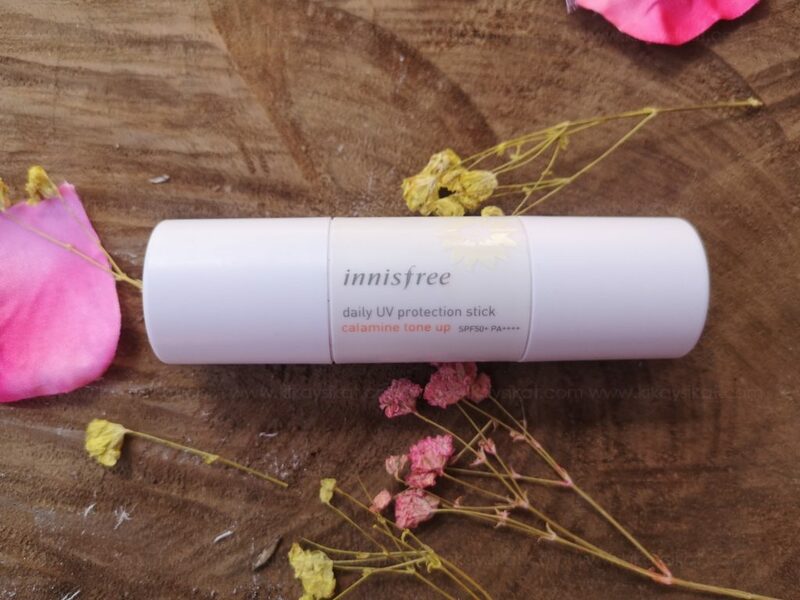 Western sunscreens tend to feel heavy and smell synthetic, that’s why I prefer Korean or Japanese brands like this one from Innisfree. 1. This sunscreen provides natural skin tone correction on pure skin, and functions as a makeup base functions before makeup. 2. Formulate with calamine and aloe vera leaf extract to help skin stay moisturized and relaxed. 3. Triple function UV screen provides a safer protection with brightening and anti-wrinkle care. I remember when I was around 5 or 6 years old and I can see a Calamine lotion bottle on my aunt’s cabinet. It’s a staple at home for allergic reactions or even our small boo-boos when we were kids. 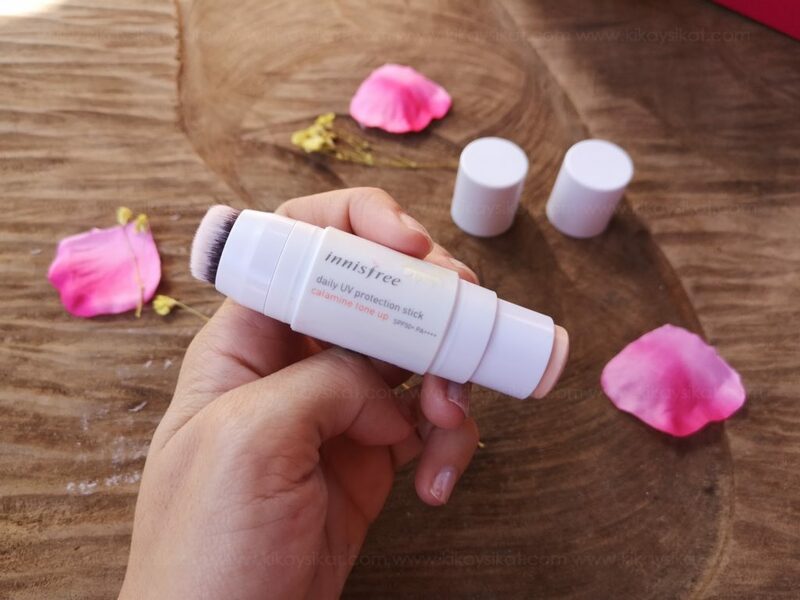 That’s why when I saw this product in Innisfree, I had to put it in my cart right away. It is a bit pricey because my usual budget for sunscreen is limited to 500 pesos max (this one’s 980php). But hey, I was prone to skin redness and I was optimistic this can be a multipurpose sunscreen stick of some sort. Calamine, also known as calamine lotion, is a medication used to treat mild itchiness. This includes from sunburn, insect bites, poison oak, or other mild skin conditions. It may also help dry out skin irritation. It is applied on the skin as a cream or lotion. 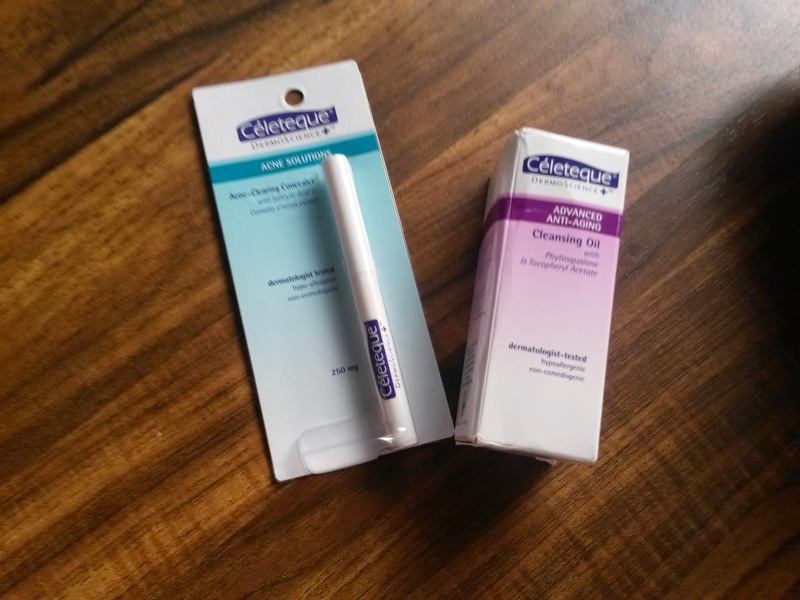 Packaging – It comes in a stick tube, with 2 ends. 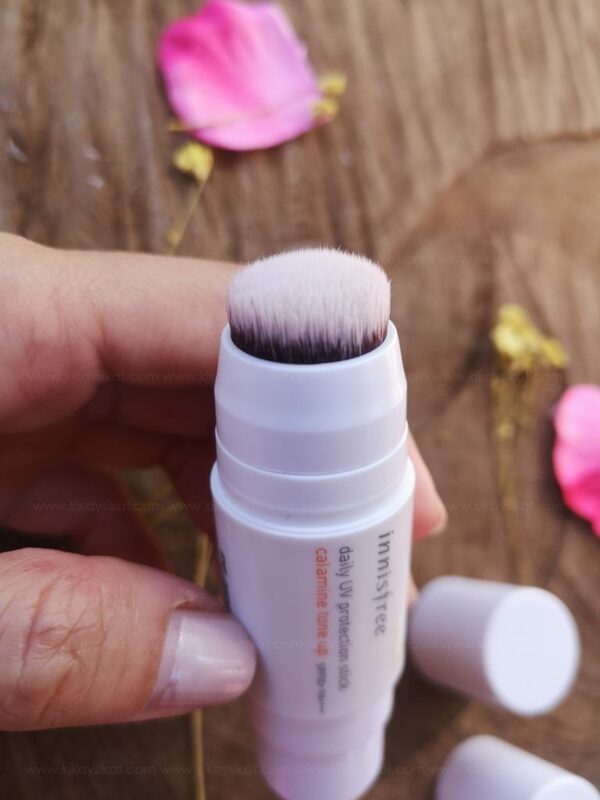 One for the product and one acts as a blending brush? It’s my first time using it with a brush, and surprised that it does blend better vs using the warmth of my fingers. Product – It’s cream that needs warmth to blend and sink in your skin. It’s light with a slight pink-peach tone that acts as the skin “brightener” thus the name tone-up. As someone with a light-medium complexion, this is indeed a bit “white” for my skin tone upon application. But after a few minutes it settles down and leaves my skin looking brighter and a bit dewy. I only apply 1 layer because too much causes the product to cake and settle on my lines. Thoughts – I re-apply every 4 hours or when I’m going to be exposed to the sun again. It’s not weightless and feels like I have 1 layer of cream foundation on my face. 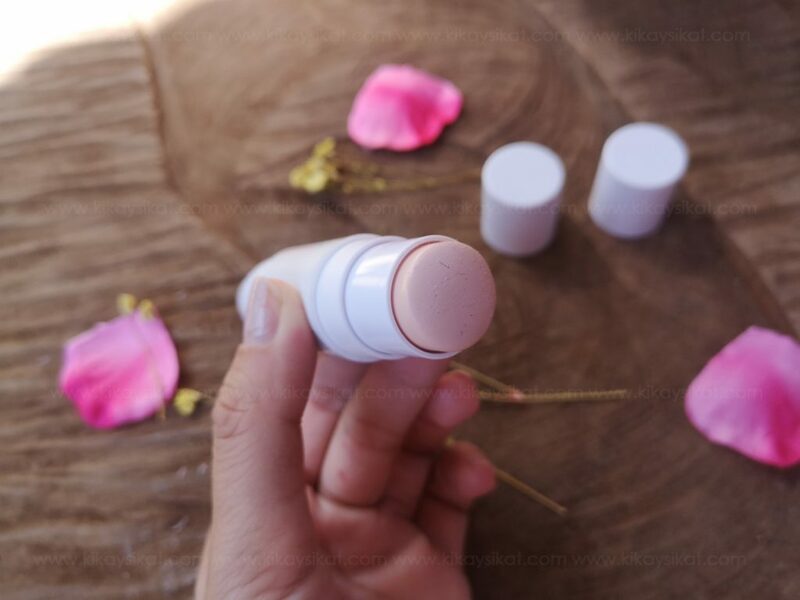 It does tone down my redness and tone up my skin instantly which is L-O-V-E.
Because I don’t have many skin issues as of late, I can use this cream as sunblock and “makeup” because it also acts as a skin brightener already. I can confidently go out to the world wearing this and this alone. It makes you look polished. However, I don’t recommend this product if you’re leaning towards the morena or tan complexion as it will tend to look ashy.